Sullivan & Cromwell and Duke Law School have had a long and productive relationship. Duke Law alumni practice within a broad range of areas at the firm, including securities litigation, intellectual property litigation, criminal defense and investigations, capital markets transactions, financial services matters, mergers and acquisitions, and project finance. Four Duke Law alumni currently at the Firm have rotated or are rotating through our foreign offices, including Beijing, Hong Kong, London, Sydney and Tokyo. Two current S&C partners are alumni of the Law School: litigation partner John Hardiman (Duke ’82) is resident in the New York office but spent five years in the Firm’s London office (2005-2010); and Alexandra Korry (Duke ’86), a New York partner, focuses her practice on merger and acquisition transactions. Both Alexandra and John have served on the Board of Visitors of the Law School. Much like Duke Law’s Blueprint to LEAD, S&C has set forth a set of principles that embody the characteristics of its lawyers: commitment to clients, leadership, professional development, broad experience, teamwork and commitment to community (you can read more about these principles here). 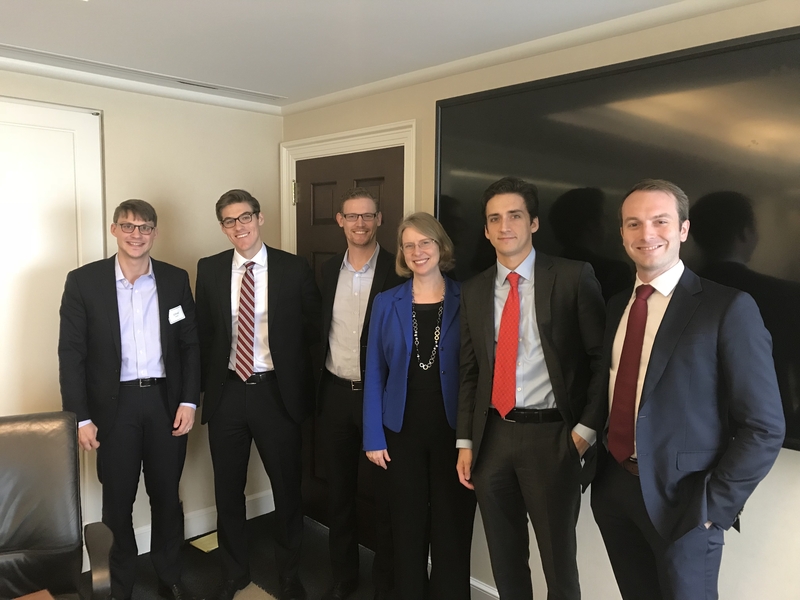 Several Duke alumni at the Firm are actively involved in pro bono work; recent matters include representing clients in asylum hearings and in landlord-tenant cases, as well as serving as an attorney advisor to a high school mock trial team. Many Duke alumni have also become S&C alumni as they have gone on to pursue a range of prestigious opportunities in government, academia and Fortune 500 companies (including Stacey Friedman, JPMorgan Chase & Co.’s general counsel). In 2018, five Duke Law School students joined us for our summer associate program. You can learn more about Duke Law alumni at S&C and our presence at the Law School on these pages. We hope to see you on campus. S&C alumna Stacey Friedman, General Counsel at JPMorgan Chase & Co., was a litigation partner at S&C until 2012. Sullivan & Cromwell participates in Duke Law School’s On-Campus Interview Program, to be held at the Washington Duke Inn. We will interview on Monday, July 30, 2018, and look forward to meeting you then.